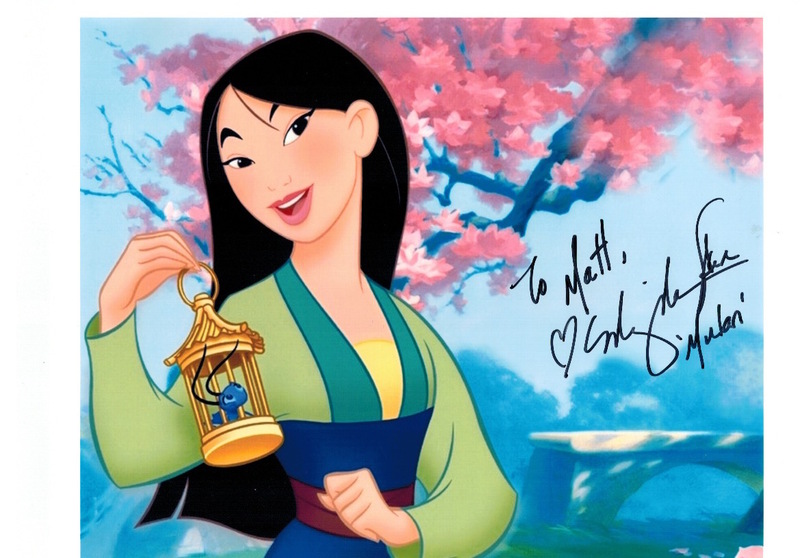 My name is Matt Winick, an Asian American and I am a fan of your acting in Mulan, a Disney movie and in different T.V. Shows. In Mulan, I thought you did an excellent job voicing including portraying Mulan because I really liked on how you made her into an interesting Dinsey character by expanding on Mulan’s trait on being a woman who works hard to overcome a struggle to get recognized for working hard to help defend her city with the troops from the Huns or to fit in with other society. I really enjoyed the story of Mulan because it had a great plot about Mulan working to overcome her struggles, enjoyed seeing the mix between actions, drama, and comedy, and really liked the team up of Mushu, a dragon helping Mulan on her journey with giving motivation to work hard on overcoming different obstacles. I thought you, Eddie Murphy, and B.D. Wong did a great job making Mulan into a great Disney movies. After Watching Mulan I became a fan of your acting role in different tv series. I really liked watching ER and I consider Dr. Jing-Mei “Deb” Chen one of my favorite characters because I really like on how she works to overcome her struggles in the medical profession on learning medicine and how she develops a great friendship with Dr. John Carter even though they might disagree about medical work. I though you did a great job portraying Dr. Chen on the show. In 2013, I got very excited to hear that you were going to star in Marvel’s Agents of S.H.I.E.L.D. because I really like on how you have a great balance as an actress on making your characters in different movies including tv shows on making them have courage and working to overcome their obstacle. In Marvel’s Agents of S.H.I.E.L.D., I really like on how you make Melinda May an interesting character who is loyal to her boss Mr. Coulson including her team on different missions even though she is working hard to overcome a trauma. 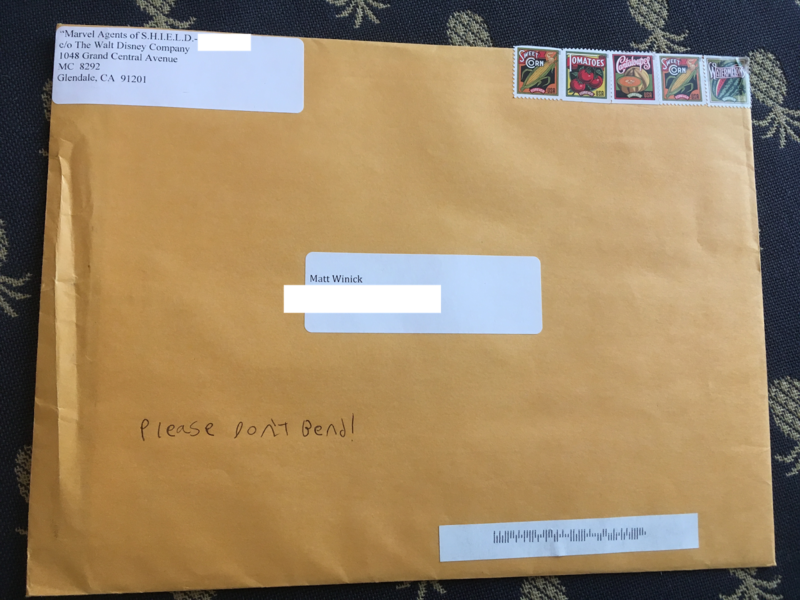 Ms. Ming-Na, your work on voicing with acting as Mulan really inspired me to work hard on overcoming different struggles including my disability. I have Autism with a learning disability and having a disability is hard because I have trouble comprehending on learning different subjects, have trouble with speech when communicating with other people, and sometimes I get teased by other people about it. When I have struggles with these things I watch Mulan because the movie gives a great message about working to overcome a struggle and have courage to show people that you are capable or that you deserve to fit in. Also when I watch the movie I like seeing how Mulan works hard at overcoming different obstacles with working to find ways not to give up because it teaches me the same time to find ways to help me when I struggle. Another thing is I like on how you are an activist on helping Asian American including Asian communities get recognized for their work or help them work on overcoming their struggles. Your work on helping Asians including Asian Americans inspires me to be proud of being an Asian American and to be interested in learning history including culture when I get teased by other Asians including Asian Americans due to having a disability. I am proud to call you one of my favorite actress for movies including tv shows and a true role model because you really made an impact on me to be inspired to be proud to be an Asian American, to work hard on Autism, and to have the courage to work hard at overcoming different obstacles. Also I’m very proud of you for working hard on portraying with voicing Mulan in Mulan Disney because you made her a strong character with a great trait to work hard at overcoming obstacles and I’m am very proud to call Mulan one of my favorite Disney movies. 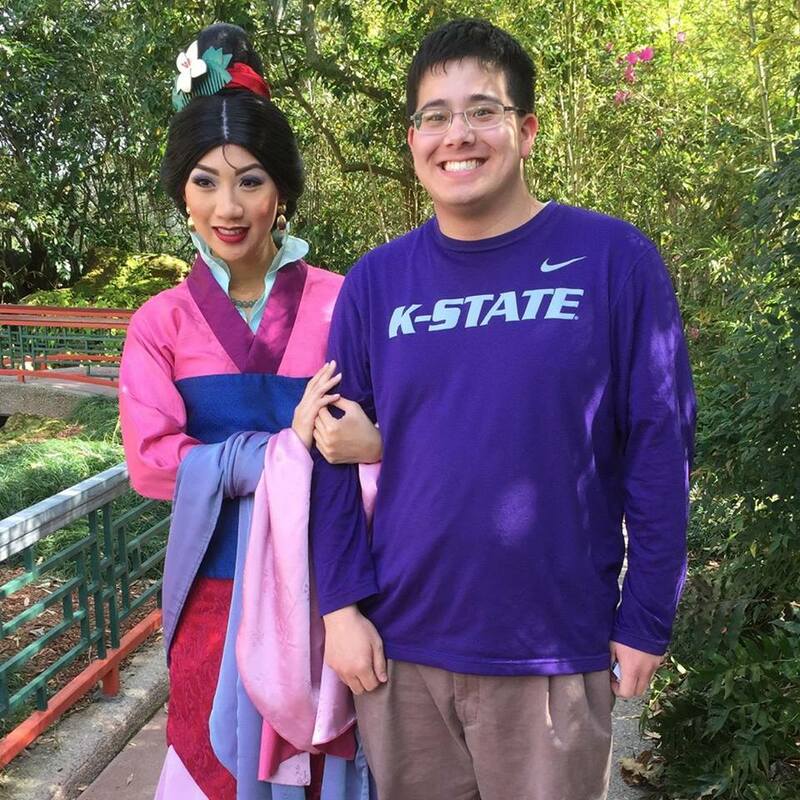 Here is a picture of me with my favorite Disney character Mulan at Disney Epcot as a gift to you for inspiring me. Ms. Ming-Na, thanks for taking the time to read my letter, taking time to respond, working hard in acting in movies like Mulan including different tv shows, and inspiring me to work hard at not giving up when there are struggles. I wish you well for the future, acting in different shows or movies, and to do well for Agents of S.H. I.E.L.D. This is a picture of me with Disney Mulan at Disney Epcot and I sent this picture to Ms. Ming-Na Wen with my letter.